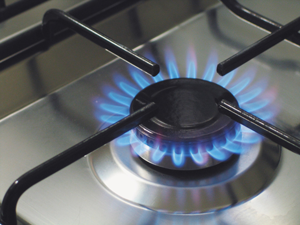 Gas will play a significant role going forward, according to energy consultant James Greenleaf. “Given the uncertainty around technological developments and alternative energy, keeping the high gas future option open is relatively cheap compared to everything else,” James Greenleaf tells agendaNi. Greenleaf is a senior energy consultant at Redpoint which conducted a study examining four scenarios ranging from gas being used at levels similar to today, to its elimination from the energy mix by 2050. It found that there is a “credible and robust” case for the continued use of gas. Gas could offer a cost-effective solution for a low-carbon transition by providing flexibility in the storage and energy balancing at times of low renewable output. It is the cleanest burning fossil fuel, and therefore could play a transitional role while new technologies are developed, the study concluded. The two key drivers for continued gas utilisation will be the commercialisation of carbon capture and storage (CCS) and electricity and heat storage technologies. CCS development will have to be supported by biomethane injection into the gas distribution network, allowing gas to maintain its role in domestic and industrial heating. Combined heat and power (CHP) district heating systems are on the cards as well as the electrification of vehicles. The four scenarios analysed by the study (outlined below) were examined at the Northern Ireland Energy Forum. • Low gas prices due to the discovery of unconventional gas. • CCS technology enables gas to retain its share of generation. • Lack of development in electricity and heat storage technologies means gas provides heating and electricity balancing services. • Homes install dual fuel heating. • Biomethane injected into the distribution grid. • CHP district heating used to help manage emissions in the heat sector. • Compressed natural gas (CNG) used as a transport fuel for heavy goods vehicles. • Lack of development in electricity and heat storage means that gas continues to provide balancing services. to the green gas scenario. • Emissions from gas-fired heating are managed through biomethane injection into the gas distribution grid. • Gas prices decrease due to new discoveries. • CCS allows gas to become the key source of low carbon power generation. • Electricity and heat storage allows the heat and transport sectors to be electrified. • New connections to the gas network fall sharply after 2020. • Two-thirds of the distribution grid is decommissioned by 2050. • Global gas prices rise steadily due to dwindling reserves. • Storage technologies, nuclear generation and a high level of interconnection with Europe mean that gas is no longer required for balancing services. • Heat demand can be met cost-effectively through zero carbon electricity. • By 2050, gas transmission and distribution networks have been fully decommissioned.